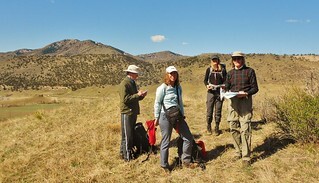 On Sunday, I took a Colorado Mountain Club Hiking Navigation Class (Featuring Map and Compass skills). It had been 10 years since I had training and I thought it was time to have a refresher. Most of the mountaineering I do is out in the west, where there are expansive and uninterrupted views and generally predictable weather. It is very easy for me to gauge direction when I have such incredible line of sight, know how to make and read beautiful TOPO maps, and I avoid going out in extreme weather. However, if I suddenly had no GPS (batteries run out or the signal is degraded/non-existent) and I find myself in a heavily forested areas, or in severe weather, navigation using old fashioned map and compass techniques is essential. 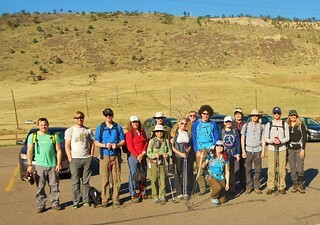 The hiking navigation class offered through the CMC is very affordable. For $45, it includes 2 classroom lectures, one optional point plotting practice session, and a full day field trip. The instruction is first rate as lectures are given by experienced mountaineers to a small class size. Questions and class interaction are encouraged. Out in the field, there was a lead instructor and two assistants, so every student got personalized assistance with the exercises. I thought the class went really well and I’m glad I took the class. 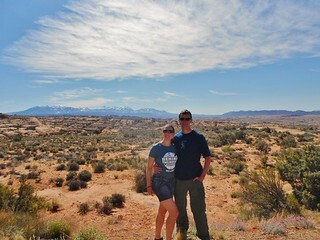 The day after running Behind The Rocks 50k, we needed to head back to Denver. 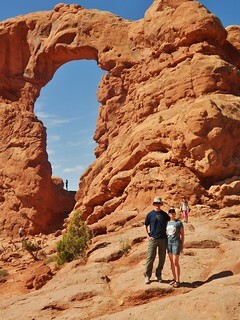 Rather than rush back, we took our time hiking around Arches National Park. It felt great to walk around on the legs after the race. I could tell they were stiffening up; so it was a good idea. 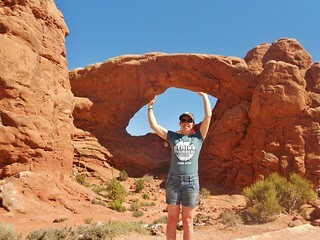 Arches National Park is really a neat park. If interested in geology and/or indigenous culture, it will be worth your time to check it out. After about 1 hour of walking around, I was ready to get back in the car and take a nap! The day after my 50Ks, I just don’t have that much energy as my body is in recovery mode! 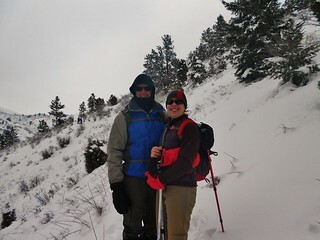 Jane, Dennis, and I met up to go for a nice hike up to and around Mt. Galbraith. It was a snowy winter day. 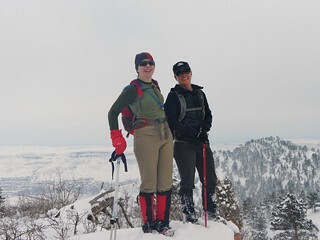 When we got to the trail head, we saw that the trail was packed so we decided to leave the snowshoes in the car. It took us a couple hours to hike the ~6 miles, at a really nice mellow pace. The clouds were fairly low, but we still had some nice views of Golden and Lookout Mountain. I really enjoyed the hike of Mt. 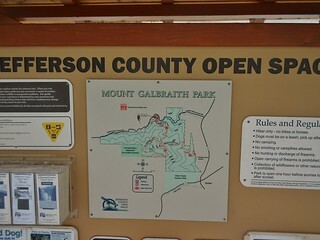 Galbraith; it’s proximity to Golden, convenient trail head, good signage, and nice views. 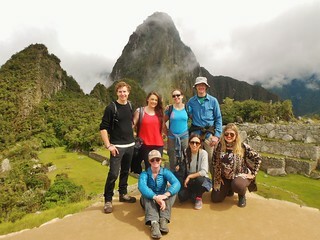 On Sunday, we woke up at 5:30am, in order to get on the first bus to Machu Picchu. It was incredibly foggy and slightly wet outside, so I wondered how the day would turn out. 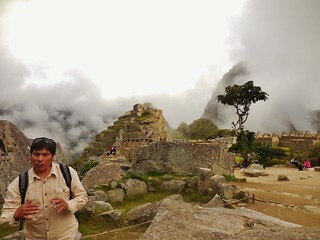 I was hopeful it would burn off, as we prepared for the hike around the ruins. 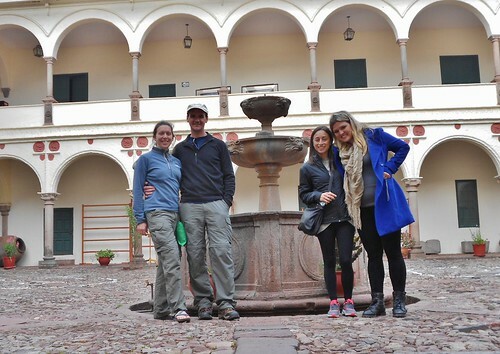 On Thursday, we said goodbye to the folks heading to hike on the Inca Trail and then headed back to Cusco. 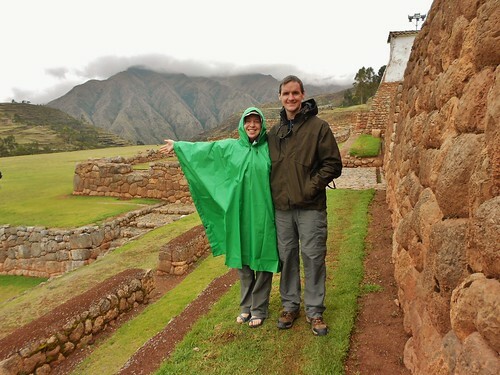 On the way back, we stopped at the important Inca Agriculture center at Moray and then visited the ancient Inca settlement at Chinchero. 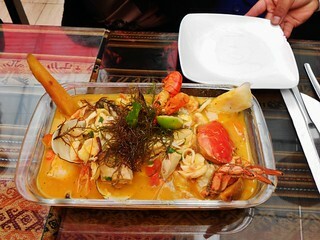 When we got back to Cusco, we went out to eat at an amazing locals restaurant, El Paisa , where we enjoyed live music and ate until we were completely stuffed! 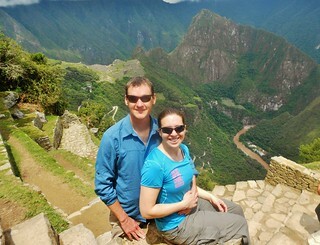 Then, we walked off the huge lunch with a visit to the Inca Musuem.